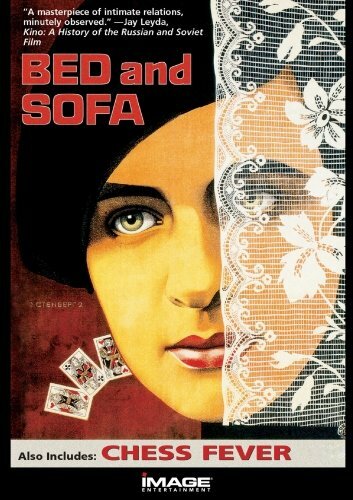 Daring for its time (or any time), BED AND SOFA is the story of a love triangle between a woman and two men living together in a one-room basement apartment in 1927 Moscow. When Liuda becomes pregnant and no one knows which husband is the father, she must determine her own future. With an involving plot, comic invention, pathos, naturalistic performances, and highly-charged use of space and objects, director Abram Room illuminates the lives of the characters but without offering a simplistic resolution. Instead he successfully uses their personal stories to probe complex issues of lingering patriarchy and female self-sufficiency in the new Society. CHESS FEVER is a witty and ingenious satire on the chess craze which swept Moscow at the time of the International Tournament there.